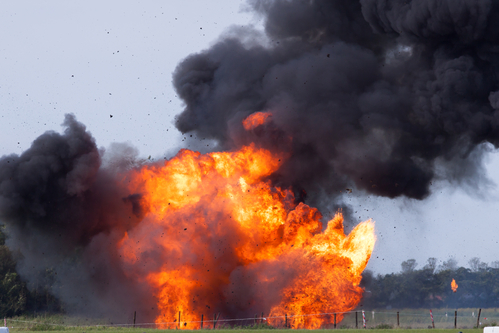 Because of all the recent explosions in the pipeline, US officials are stepping in and working hard to strengthen all of the different safety rules and regulations surrounding the 300,000-miles of pipeline running through the nation. The current proposal would involve expanding the rules surrounding repairs and inspections to include rural areas and any new lines installed in a gas drilling field. The pipeline that broke back in 2010 was constructed in 1956. Had that pipeline been pressure tested like it should have been, the issue might not have occurred in the first place. It used to be that older lines were exempt from being tested, but that isn’t the case with the new safety proposal. The new safety proposal could help to prevent something like the San Bruno, California incident from ever happening again. When the pipeline burst in 2010, it continued to spew gas for 95 minutes until a utility worker was able to get to the residential neighborhood and shut it down manually. During that 95 minutes, 38 homes were burned, eight people were killed and 50 others were injured. Had the pipeline had an emergency valve installed on it, the incident wouldn’t have spiraled out of control like it did. The emergency valve would have been able to shut the gas line down automatically, reducing the time to mere seconds. Safety regulators are urging gas companies to install these valves. However, the gas companies are resisting due to the high cost of doing so. While it might cost anywhere from $600-700 million to correct the problem and ensure everyone in the area is safe, it is far better than the alternative where 46 people were killed, 181 were injured and $1.8 billion worth of damages was incurred. Beyond saving people’s lives, installing these valves could also help to save $3.2-4.7 billion from accidents. Isn’t it worth spending millions now to save billions and countless people’s lives in the process? The gas lines need to take action and take the proper measures to ensure everyone in their service area is safe and secure.